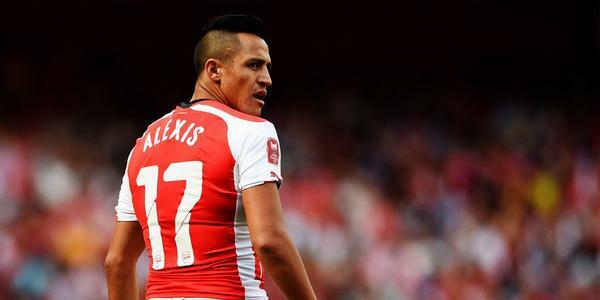 Can Arsenal Keep Hold of Sanchez? There were many times during the summer that it looked like Alexis Sánchez would be leaving the Emirates – and if it was not for Arsenal being unable to strike a deal for Monaco’s Thomas Lemar it is highly probable that the Chilean would be playing the majority of his football in Manchester right now. We’re having a bit of a spring clean at Arsenal Tees – clearing out the old tshirts before we bring in some funky brand new designs! To clear some space in the store-room we’re selling t-shirts at a ridiculous £5 each – thats over 60% off! Get them quick, because when they’re gone, they’re gone! Christmas is coming up fast! If you want to give an Arsenal t-shirt as a gift then you need to be ordering it pretty soon! We’ve got Podolski, we’ve got Henry, who’s next in the line of great Gunners strikers? We’re hoping its going to be our favourite little Frenchman (after Arsene Wenger of course!) Olivier Giroud! He has shown flashes of the brilliance that made him the top scorer in Ligue 1 last season, and after scoring his first goal for the club against Coventry in the league cup, it might just be the confidence boost he needs to go on a goalscoring spree! Check out our Giroud t-shirt here! Welcome to our recently re-developed website – one which should hopefully look great on your mobile phone too! We have some fantastic ideas for t-shirts this year, and can’t wait for the season to start! If you want to keep up-to-date with our latest offerings (and also get the latest offers and deals) then you should make sure you sign up to the mailing list.